Paper bags, old newspapers, fabric scraps -- you're probably already using them for eco-friendly gift wrap. 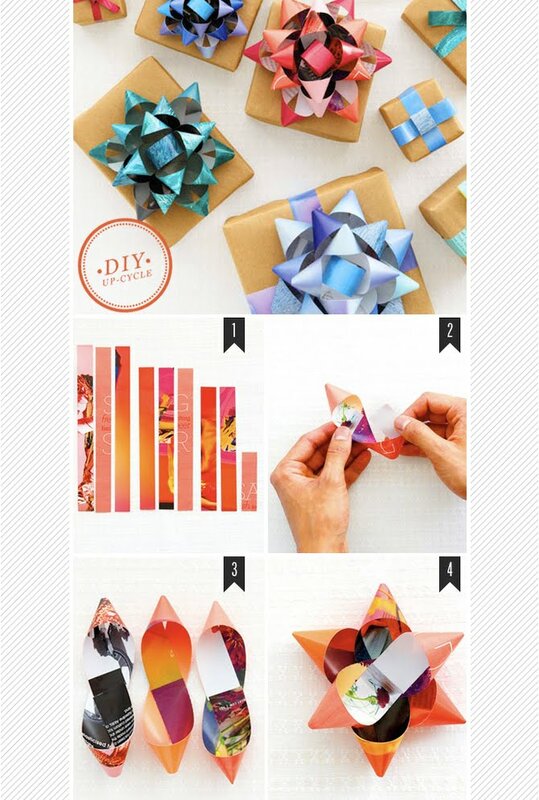 But did you know you could create beautiful bows from the pages of our magazine? 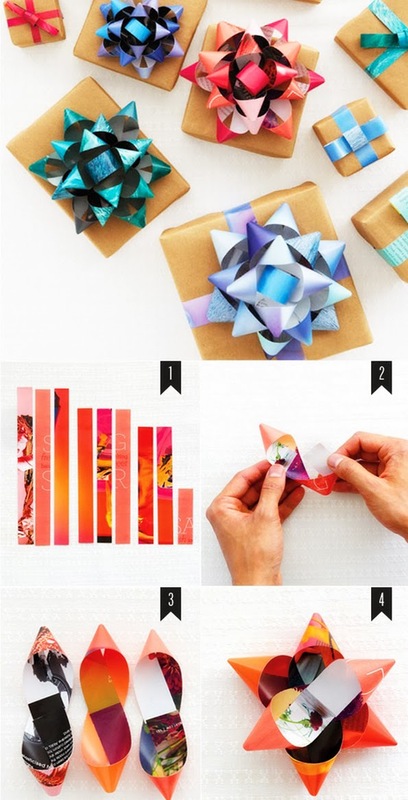 You'll need a page per bow (best if mostly one color) and some double-sided tape. 1. Cut the page lengthwise into nine 3/4-inch-thick strips of heights shown: Three at 11 inches, three at 10 inches, two at 9 inches, and one at 3 1/2 inches. 4. Layer and stick, starting with the longest strips. End with the circle in the center. To make these bows as featured on "The Martha Stewart Show," use strips of paper shopping bags, which result in a more sturdy bow. For a fuller bow, cut strips to be 1 inch thick and make the shortest strip about 4 1/2 inches instead of 3 inches. Sections of bow can be held together easily with double-sided tape, but for added strength, use a screw punch to punch a hole in the center of each bow section and secure together with a gold or silver brad. Attach the final single loop with double-sided tape or hot glue.